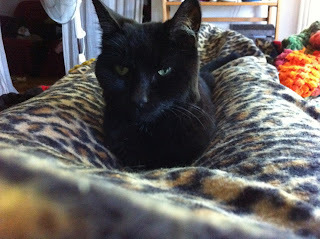 Early in the morning on Wednesday I said, "Goodbye" to Orange, my 17 year old black peanut of a kitty. She was always small, never weighing more than about 9 pounds even during her chubby years. She was an odd little cat who went her own way from the very start but also always quite ready to accept a cuddle and a scratch behind the ears. She was obsessed with toilets, feet and being perched on the highest point in any room especially if that point was someone's shoulder. She sang when she played with her toy mice, yowling and howling her death dirges as she raced down the hall with one in her mouth. She would wait impatiently for me to come to bed when my insomnia took hold and waited just as patiently in the morning for the first flicker of my opening eyes to begin purring and demanding affection. She was my one kitty who was never sick until a few months ago when she was diagnosed with a lymphoma in her tummy. 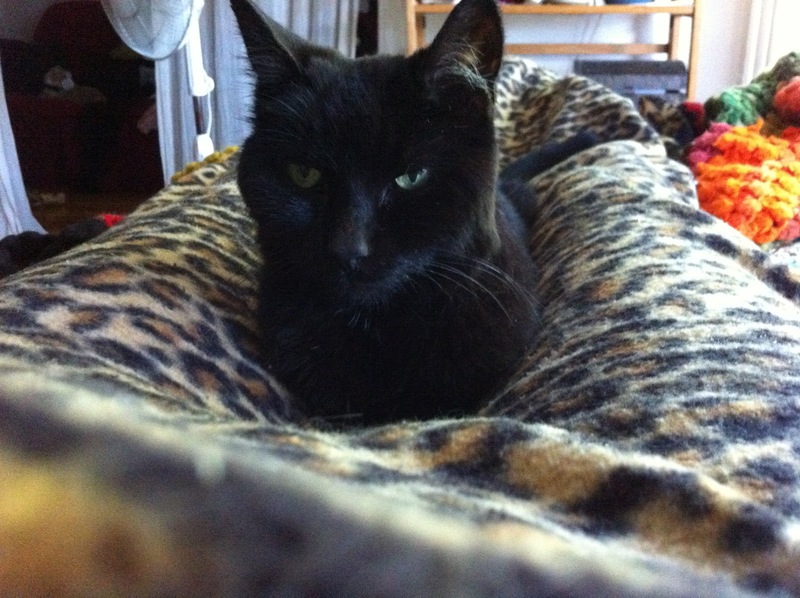 In the end she was so weakened she could barely stand but I will always remember her as the fierce, independent little panther that she was. So long my little sweet pea...I'll miss you.